I first read about Danish label LuckyBoySunday in Frankie magazine, alongside a photo of three very cool looking chairs. So I looked at the website (yes, even though they were apparently only for children) and I was hooked. 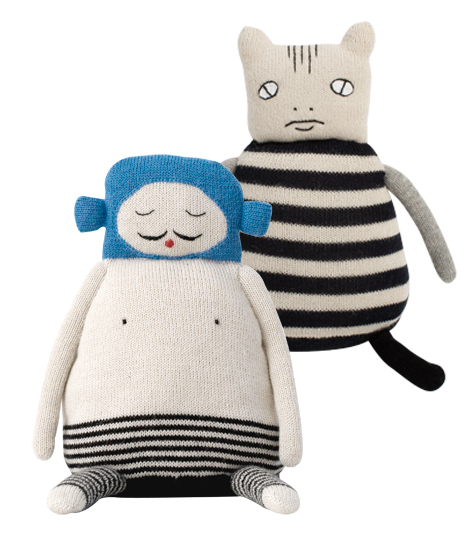 I don’t know if Danish children are more melancholic (if that’s a word) than other children, but the collections of accessories on the website would scare the crap out of most kids I know. 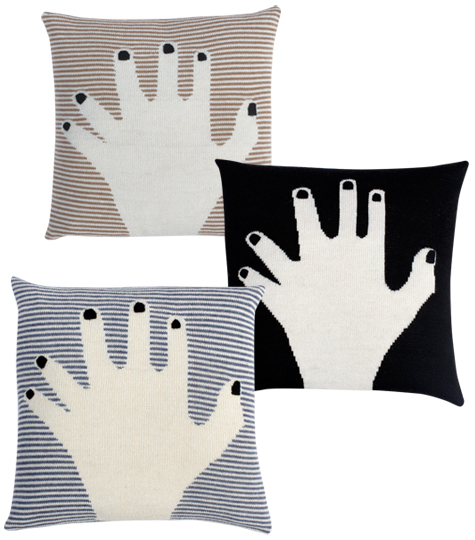 Anyways, the peculiar hand cushion is called Fancy Finger, for obvious reasons. And the little girl is holding Dead Buddy. Uh huh. Then there is Balthazar, the shirtless guy with the blue balaclava and his bestie Sailor Jack, who look like they’ve had a rough night at sea. Or somewhere. 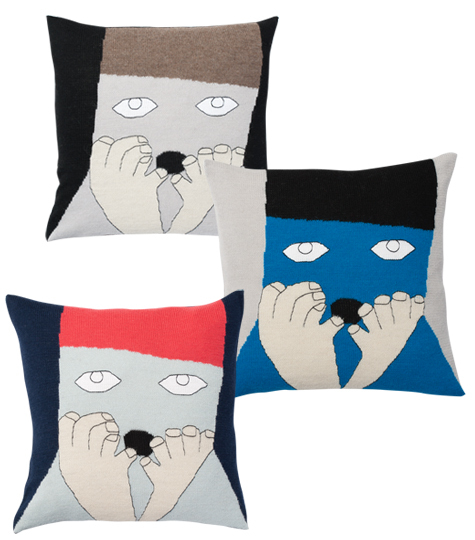 And then there’s the Uffie cushion – part-robber, part-anxiety and all charm. 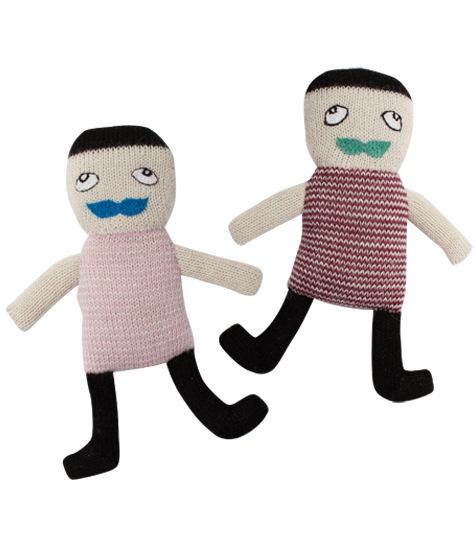 Then there are the fabulous Mr Bells, with their green and blue moustaches. The collection is for children? Do you really think so? Either way, they have some very cool and kooky accessories and their website is well worth a visit. You can check it out here. I love Lucky Boy Sunday (have posted on them, too!) and I am not surprised you are a fellow admirer, Sparks. I love the fact that they are just slightly off-centre! ‘Melancholic’ is a word. As are ‘sad’, ‘depressive’, ‘dour’ and ‘miserable’. There’s a reason Scandanavians have the highest suicide rate in the world. Emo cabbage patch dolls? Seriously? I like the mr bells! Must be a moustache thing…. !